NeoRouter is a cross-platform zero-configuration VPN solution that securely connects Windows, Mac, Linux and FreeBSD computers at any locations into a virtual LAN and provides a networking platform for various applications like remote desktop, shared folders and printers, offsite backup, voice & video chat, etc..
NeoRouter Pro is designed for commercial usage in the production environments. It is mature and reliable. It also includes 1 year technical support. Try it free for 30 days. Support Windows, Mac OS X/iOS, Linux (i386/x64/ARM), FreeBSD, Android, router firmwares (openwrt and tomato) and all modern browsers. You can run NeoRouter portable client from a USB drive without installation or run NeoRouter web client from any modern browser. This feature is especially useful if you are using a computer that you do not have the privileges to setup new software, e.g. in a library or hotel. You can run your own server independently and no traffic is relayed through a third-party server. You can personalize the user interface with your native language and favorite skin. Business users can even integrate the company's logo. Create NeoRouter Domain Register virtual network name. Download NeoRouter Pro Try it free for 30 days! Launch Web Client Access remote computers and devices. 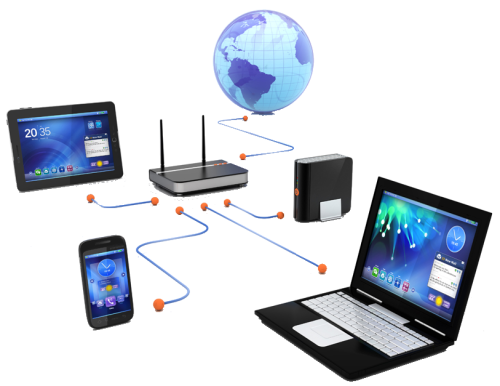 Launch Web Console Manage virtual networks.